As a food blogger I get asked for restaurant recommendations all over the city, though there are some neighborhoods I am not at all familiar with. One such neighborhood is the Theater District, where I recently met my folks for dinner. Lucky for me my parents picked for us: Pigalle, one of many French bistro style places along 8th Ave.
As with many French restaurants, there were only a couple of vegetarian options on the menu. 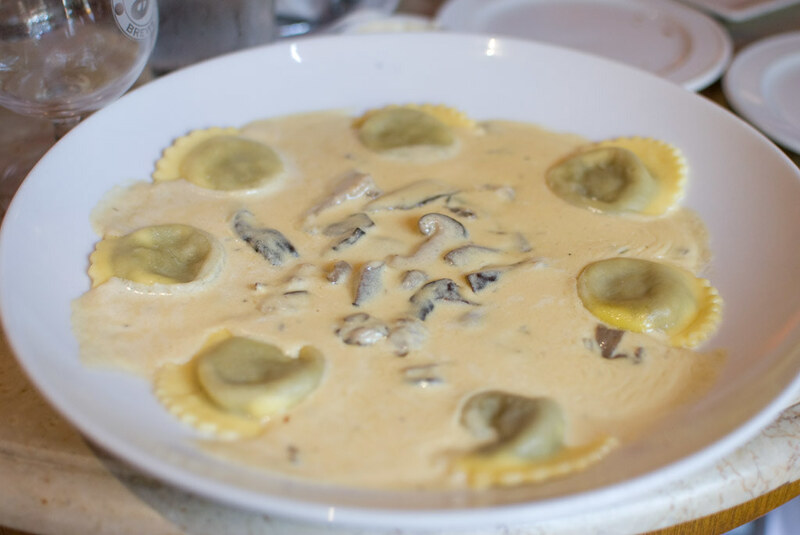 I was very hungry as I’d had to skip lunch at work, so I ordered the mushroom ravioli and a side of french fries. The ravioli themselves were actually surprisingly tasty, though the Madeira and cream sauce was surprisingly tasteless. Also the plate seemed comically over-sized for the amount of food that was served. 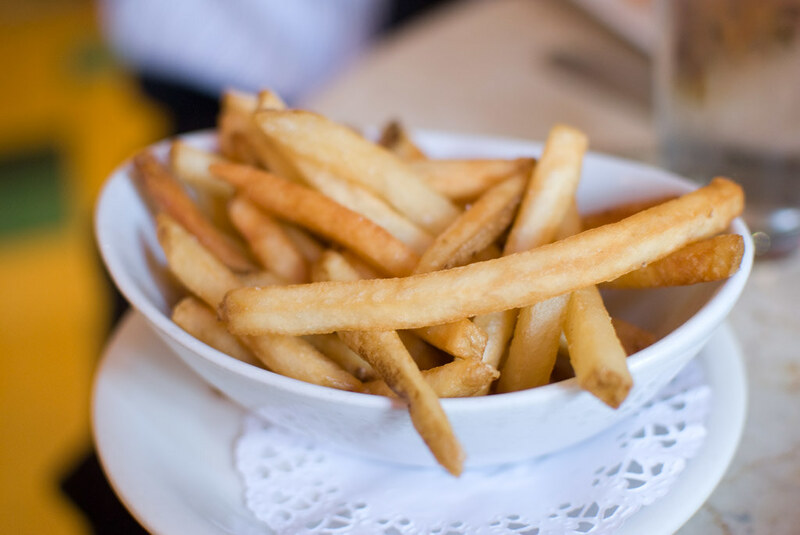 The fries were salty and crispy and really hit the spot. So did the Brooklyn Penant Ale they had on draught. My parents got prix fixe dinners, which came with desserts, and my Dad let me get his. 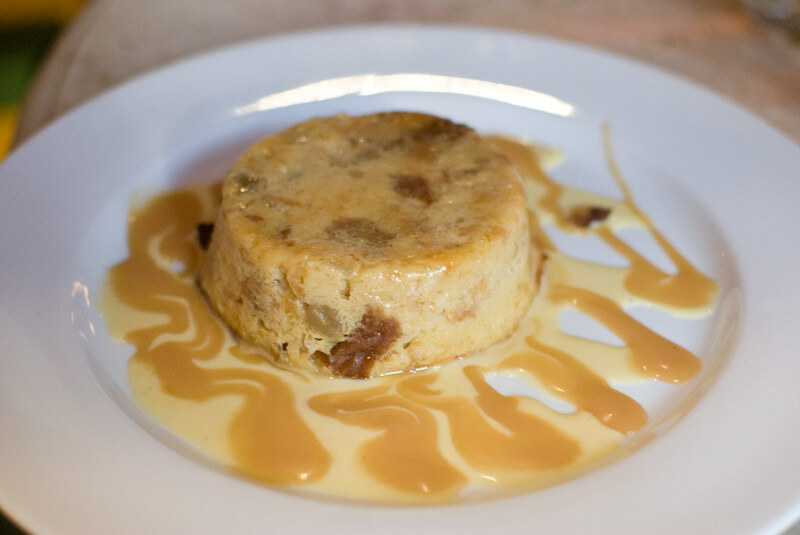 I chose the bread pudding, which was warm and rich and delicious. Overall the food at Pigalle was good, though not great. It’s relatively cheap for the neighborhood, and though I wouldn’t go out of my way to eat there again it’s not a bad option.